It’s been a long time since Google Maps had some real competition. Nowadays, Bing Maps offers some level of adversity but it’s not quite there yet. Remember when MapQuest used to be the Big Thing? We’ve all been using Google Maps for years now (if you’re an exception, then I’d like to know what you’ve been using! ), but did you know that there are dozens of tips and tricks that you can use to empower your mapping experience? That’s the thing I love about Google. Sure, they might kill their products (like Google Reader Reader Is Dead: What Technology Could Google Kill Next & How Can You Protect Yourself? Reader Is Dead: What Technology Could Google Kill Next & How Can You Protect Yourself? First they came for Buzz and no one cared. Then they came for Notebook. Now they've come for Reader. What technology will Google take away from you next? This article explains several Google technologies that... Read More ) every once in a while and some of their business ethics might drive you to abandon Google completely How To Quit Using Google How To Quit Using Google So what can you do when Google encompasses a ton of products and services all around the world and you want to escape their control? When complaints and protests don’t work, the best way to... Read More , but you can’t ignore the fact that Google has worked to constantly improve their services year after year. 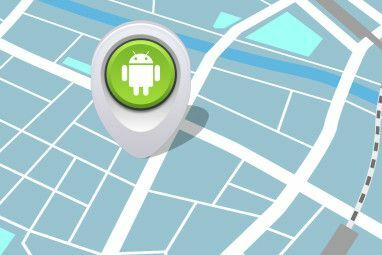 Google Maps has received new features and improvements on a regular basis and the latest revamp, which you can try, streamlines the entire interface for maximum efficiency. Keep in mind that it’s still in beta phase, though, so it may be buggy and some announced features may not be there when it goes final. Meanwhile, we look at the stable version which we love and know so well. So how can you make use of Google Maps to the utmost? What sorts of tricks await your utilization? Keep reading to find out how you can become a Google Maps pro in no time. Google Maps has a convenient feature that lets you set your Home and Work locations. If you often use these locations in your map searches — and who doesn’t? — it’ll shave off a lot of unnecessary repetition of having to type in your home address over and over again. I know that when I use Google Maps, it’s usually to find directions from an unknown location to my home or from my home to an unknown location. This feature gets me there faster. But you can be creative and use these two settings for other locations too. I mean, there’s nothing stopping you from setting your Home location as, say, your girlfriend’s house or even your school’s campus. You can fill it in with any location that you go to regularly and enjoy the time saving convenience that comes with it. To set these locations, click on My Place in the left sidebar and then either Set home location or Set work location. Most Google Maps users will probably know this tip already, but for those of you who haven’t learned about it yet, you’re in for a treat. When you search for directions using Google Maps, it defaults to giving you driving directions. But did you know that you can find directions of different types, including walking, biking, and public transportation? If you live in the suburbs and have access to a personal car, you probably won’t need any of these alternatives. However, if you live in the city and you don’t have a car, they’ll come in handy quite often. The public transit options in particular will tell you which buses and trains to take (only for selected regions) and what times they’ll be available at each stop. For a city slicker like me, it’s a feature that will improve quality of life dramatically. For a long time, I only used Google Maps by typing in the exact address of my intended destination. I should’ve known that Google of all companies would’ve rigged their map engine with an advanced search engine. Once you learn the intricacies of the Google Maps search bar, you’ll find your targets that much faster. For example, I could type in parks in Philadelphia to find all of the parks in Philadelphia. Pretty straightforward, isn’t it? The near keyword works the same way. Google Maps can also handle some more advanced queries, such as finding the intersection at Race St and Broad St. I tend to navigate from intersection to intersection and I’m not so good with full addresses, so this has been super helpful. You can combine two search terms together with a pipe symbol, such as searching ikea|target to search for both IKEAs and Target stores locations nearby. The minus symbol will exclude particular keywords, such as searching fast food -pizza to search for all fast food restaurants other than pizza. And did you know that if you type in a singular asterisk (*) into the search field you’ll get every point of interest in the area? It can be overwhelming if you’re zoomed out too far, but it’s a good way to browse a new area that you’ve never seen before. At the top right corner of Google Maps, you can bring down a menu that lets you enable a few different extra layers that’ll provide more information on the area. Enabling too many of these can result in a lot of clutter, but they’re nice to have when you’re specifically looking for something like traffic data or photo overviews. Traffic: Displays where traffic routes are congested and not congested. It’s nice because the level of precision goes further than just streets. If Broad St is congested in this section but clear in that section, you’ll know. Google shows real-time traffic data with color indicators and special markers that alert you of any bottlenecks, like construction work. Photos: Brings up photos for all of the notable points of interest in the area. It is useful for getting a good idea of what an area looks like before you go there. Weather: Alters the left sidebar to show you the weather conditions and forecast for the area. Terrain: Transforms the map to show terrain information, such as whether an area is urban, parkland, hills, trees, etc. Bicycling: Displays the bicycling paths in the area and grades them based on their popularity and ease of use. As Tina once explained, it’s super easy to create and share your own directions with Google Maps Create Google Maps of Your Own To Share & Collaborate With Friends Create Google Maps of Your Own To Share & Collaborate With Friends Google Maps is the best free tool for all your mapping and navigation needs. It's comprehensive, intuitive to use, and available across platforms. Since there is no serious competition in sight, you might as well... Read More . 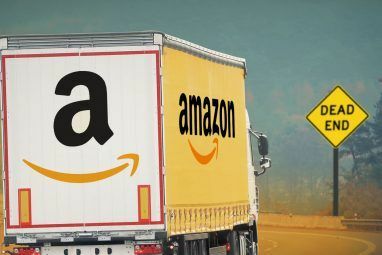 It’s a lot easier than explaining over the phone or through text, plus it adds an additional visual layer for people who follow directions better when they can see the actual path being taken. When creating custom directions, you can mark special locations, highlight shortcuts, and even add comments. You can also create custom maps with special pins that mark whatever you want them to mark. 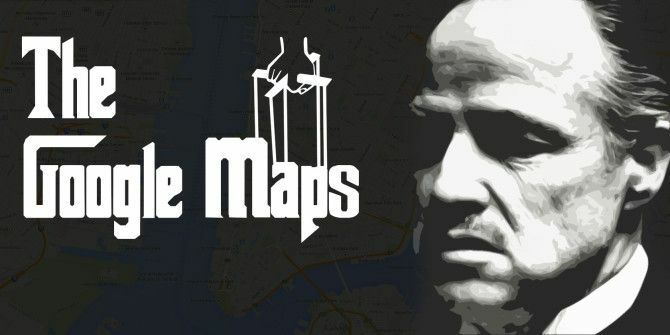 These maps can be used to mark the locations of all the members in a development team, or they can be used to mark your favorite dessert places, or even tag all of those special locations that you want to visit one day. Of course, you need to be logged in to save all the pinned locations. I love that Google allows users to opt into beta features through their Labs program. With Google Maps, you can enable some bonus features that may not be completely bug-free but nonetheless useful. I personally don’t use the Labs features for Maps, but if you think they’ll help you out, there’s no reason not to use them. The only downside is that there aren’t as many Labs features for Maps as, say, Mail. But with all the greatness of Maps, it’s likely there’s every need for many more Labs additions. Now you know some of the best secrets of Google Maps that will help you search and navigate better and faster than ever before. 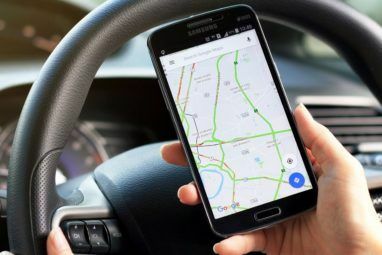 Of course, if you never use any of these tips and tricks, that’s fine too as long as you’re able to do everything you want to do with Google Maps. These advanced features are there for people who wish they could get just a little more out of Maps. Did you find these useful? What other Google Maps tips and tricks do you use to make your life easier? Please share them with us in the comments! I use google map often for public transportation. Surprisingly, I found that they are more accurate than the actual transitchicago tracking. Also, saving locations make it faster to input my desired destination. Lastly, when on the mobile internet (not the app) I save my maps for offline reading. This is helpful for places with low to no data services. I find the Labs "Distance Measurement Tool" quite useful. I do a lot of insurance inspections and some clients are way the heck out in the boon docks and not on paved roads. The insurance companies want to know how far off the paved road they are. With the tool, I can click from point to point and generate a distance measurement. Nokia Lumia has the HERE Transit app, which is a lot better in public transports. best of the article: the godfather illustration.